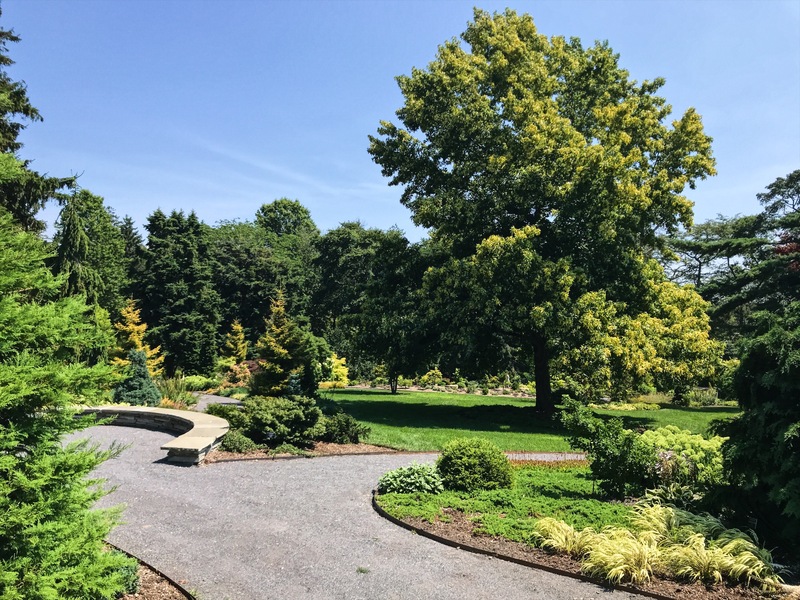 The Conifer garden was installed in 2016 to replace the shrub glade adjacent to the house. The design features an array of colors and textures to help showcase the beauty of conifers. Public garden designers, Ronda M. Brands, and Lynden B. Miller created an oasis where visitors can see rare specimens among colorful perennials. A unique variety of heaths and heathers are planted as ribbons through garden beds. Stunning Japanese maples are interplanted throughout the garden to add a pop of color and balance. 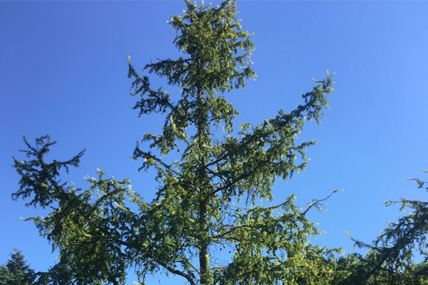 The collection displays a huge diversity of conifers that were sourced from across the country. 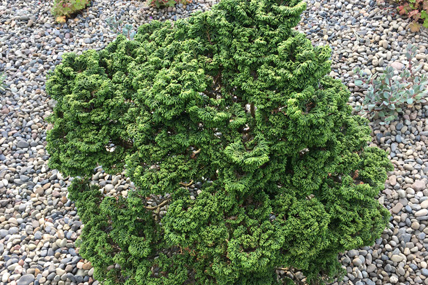 Within the garden, visitors can admire an extremely rare dwarf conifer collection donated by the late Ed Rezek and his family. 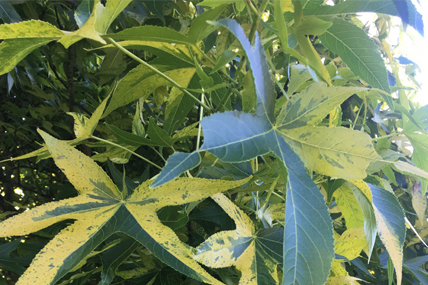 The Long Islander was a passionate collector with conifers dating upwards of 75 years old. Dwarfs were planted in a rocky setting to mimic the conditions they can often be found. 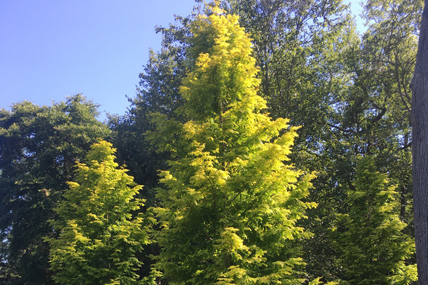 The garden provides year-around interest regardless of seasons due to the nature of conifers. 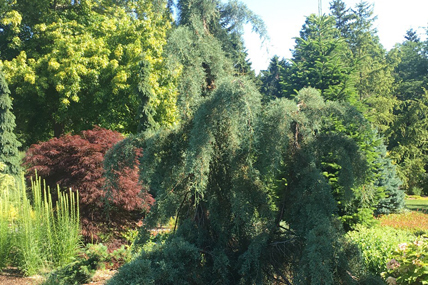 With Mr. Cutting’s strong interest in conifers, the garden is a natural addition to the arboretum’s landscape.